Why we love to train on catamarans! Discerning boat buyers and or charter holiday makers are increasingly choosing catamarans to enjoy their sailing. You have far more room for comfortable accommodation. 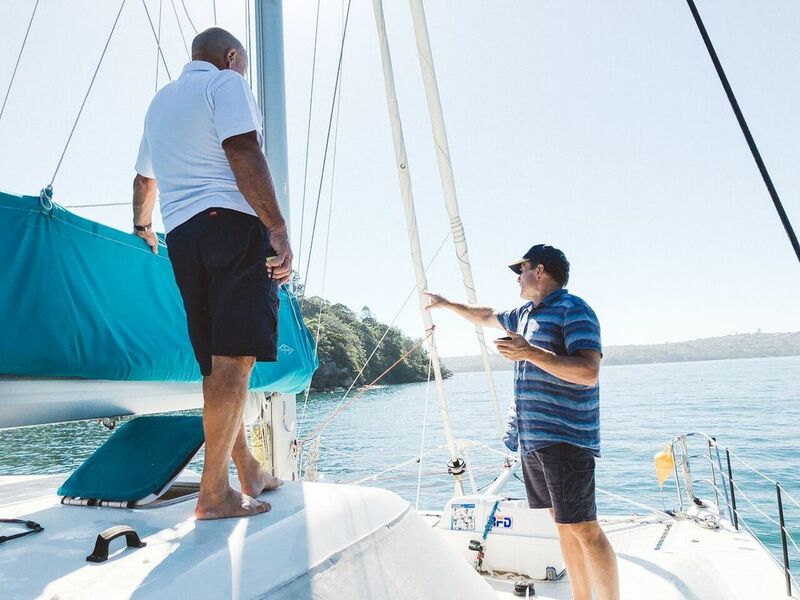 You will be able to enjoy your cruising ambitions or your holiday with more confidence with RYA courses. Our RYA courses are conducted on a performance catamaran because it is responsive and fast. When learning to sail a cat properly it is important that the boat responds quickly and easily. We show you just how easy it is to sail a catamaran fast, safe and far. Successful boat ownership is about knowing you made the right choice. We equip you with the knowledge to make the most informed choices. The result is you, fully enjoying the pleasures and beauty of sailing, with confidence and competence! 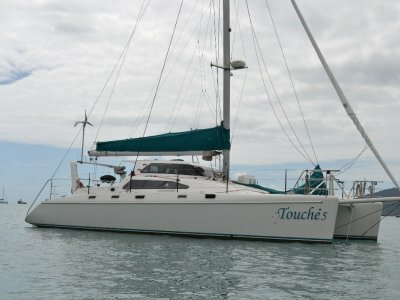 Yachting Direction's training vessel, the Farrier 43 'Touche 5'.